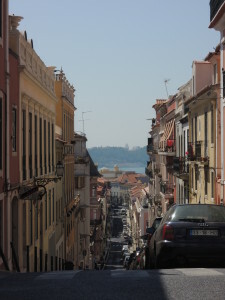 Lisbon is a beautiful, hilly city. Seriously, so many hills. While walking everywhere will give you legs of steel, the metro system is another alternative. 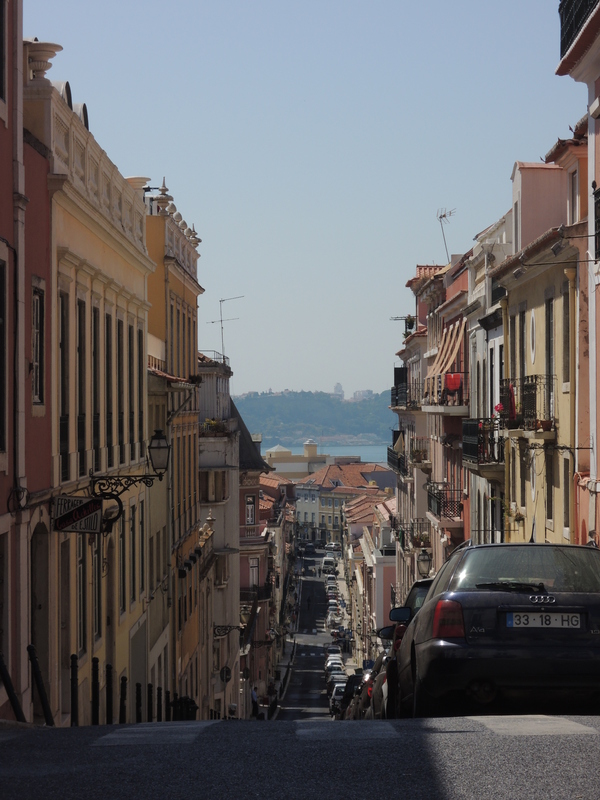 On a recent vacation, I stayed in Lisbon and took day trips to both Sintra and the Belem area outside of Lisbon. If you plan on staying in the Lisbon area for any length of time, I strongly recommend getting a re-loadable metro card. These cards are used for the metro, the buses, and the local trains. They are called Via Vivagem cards with Zapping. Zapping seems be mean re-loadable and gets you a discounted price on your fare (1,25 Euro vs 1,40 Euro). 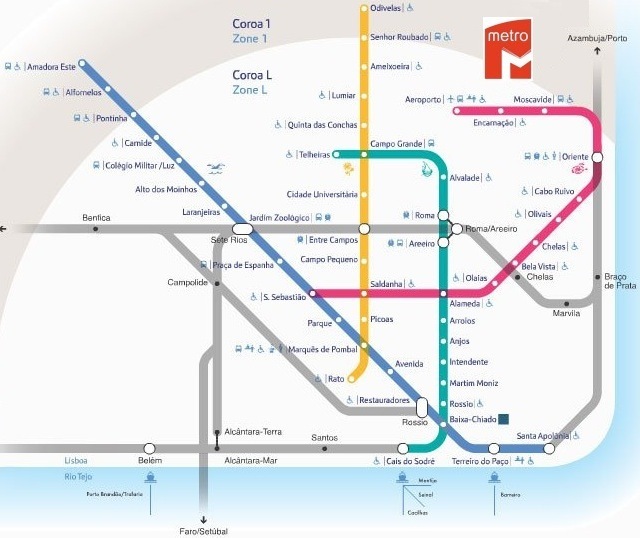 The Lisbon Metro system is divided into four main lines: Blue, Yellow, Green, and Red. Most tourist maps include metro stops and it is highly likely that your hotel will be near one. The metro is clean, punctual, and safe. It is an excellent and easy way to get around the city. Notic the gray lines on the map? Those are local trains. The trains connect to/at subway stations, however the trains are a different price around 2,15 Euros rather than the 1,25 Euros for a metro journey. The metro card will also work for the trains, just make sure you have enough cash on it. I took the train from Entrecampos station to Sintra and back during a weekday. From Lisbon to Sintra took about 36 minutes. It was about the same amount of time for the return train ride. During the weekdays the trains run frequently. Less so on the weekends. Double check departure and return times on the pdf timetable located on the Comboios de Portugal site. If you click under Lisbon Urban Services you can download the correct train timetable. Belem is located in the Cascais table and Sintra is marked as its own. When you are looking at the Sintra table, note that the different colors correlate with the appropriate metro stop. Yellow times are for Entrecampos, Blue for Rossio, etc. Best bet? Ask an attendant at the train station. Everyone I encountered in Portugal spoke some English and it was very easy to communicate. What to skip? The tram. For some reason, everyone raves about the tram. After a week in Lisbon, I still don’t understand why. The metro system can take you anywhere you need to go in downtown Lisbon. The local trains easily make up for areas outside of the metro. I took the tram from Lisbon to Belem and promptly decided to take the train back. The trams are crowded, poorly ventilated, notorious for attracting pickpockets, and drive on the streets so they have to obey traffic laws and brake for lights. Don’t bother. Taxis are abundant in Lisbon and reasonably priced. However since the metro is even cheaper and very easy to use, I only took taxis to and from the airport. The only other time you may want to use a taxi is if you go clubbing. The metro does close at 1AM so if you’re out after that time it’s either a taxi or walking. Amazing Latin food in a lively atmosphere, this is a great restaurant. I dined alone and sat at the bar which allowed me to chat with the super friendly bartenders and other restaurant patrons. 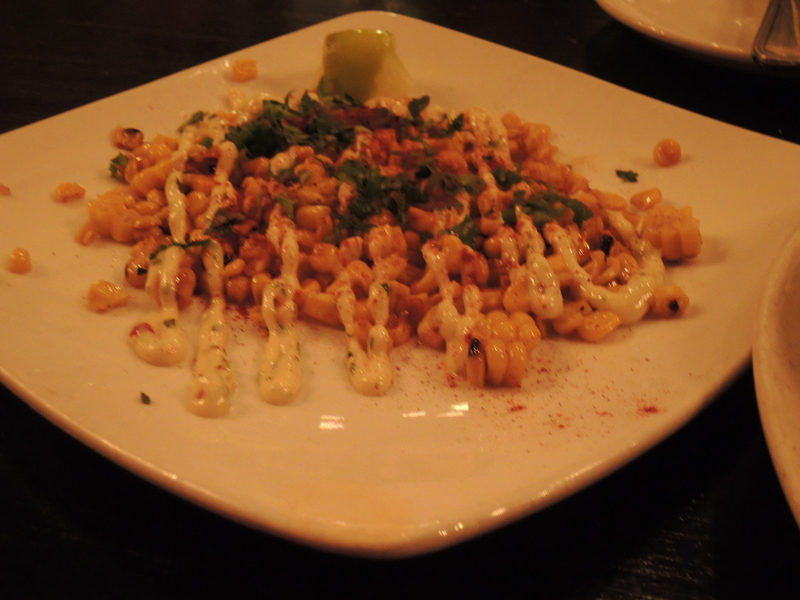 The food was fantastic, especially the featured tuna ceviche and the elote. Be advised, the ceviche is huge. 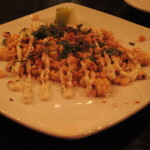 Their elote (grilled corn with lime aioli and contija cheese) is a necessity. 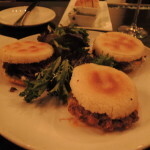 Continuing the trend, the arepas were good, but enormous. 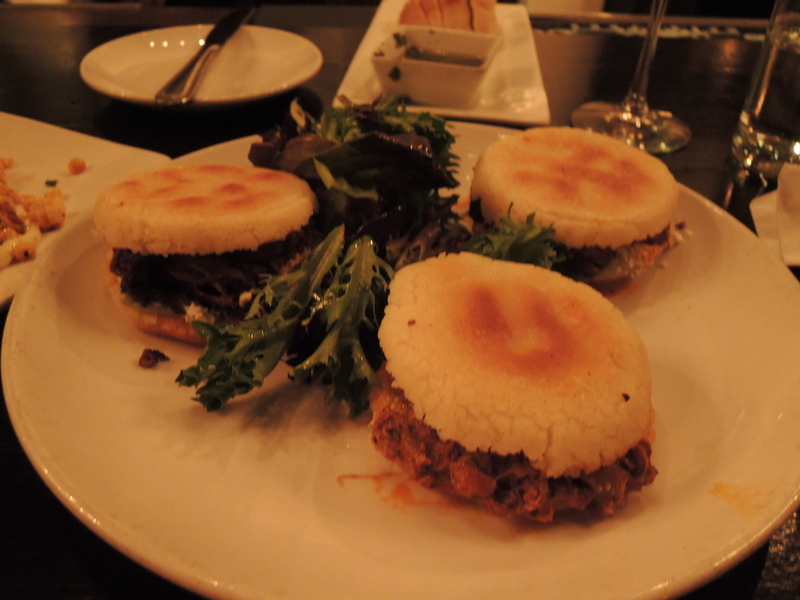 Although Contigo offers a (slight) discount for three arepas, you really only need one if you’ve had an appetizer. The pollo arepa would be my first choice, featuring a great meat to condiment ratio, and the right amount of spice. 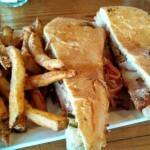 A great place to get Latin food that is not the typical “Tex-Mex” variety. A great restaurant, it looks a little tacky on the outside thanks to their neon sign. Do not be dissuaded. 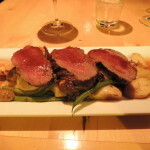 The food is delicious and well-prepared. 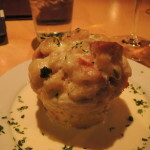 Their menu changes fairly frequently and I opted for the specials on the night I dined: savory lobster bread pudding, venison steak, and lemon madeleines. 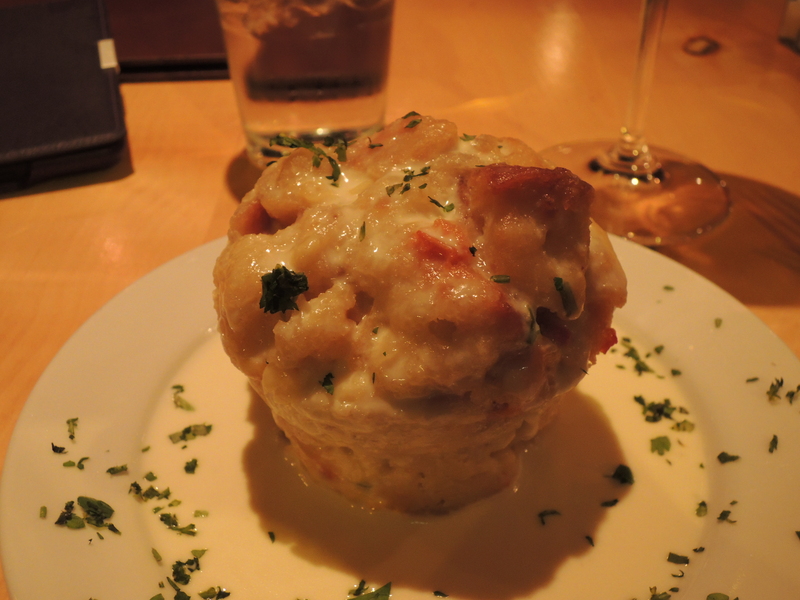 The lobster bread pudding was epic. The lobster was a great choice, but very rich and heavy. 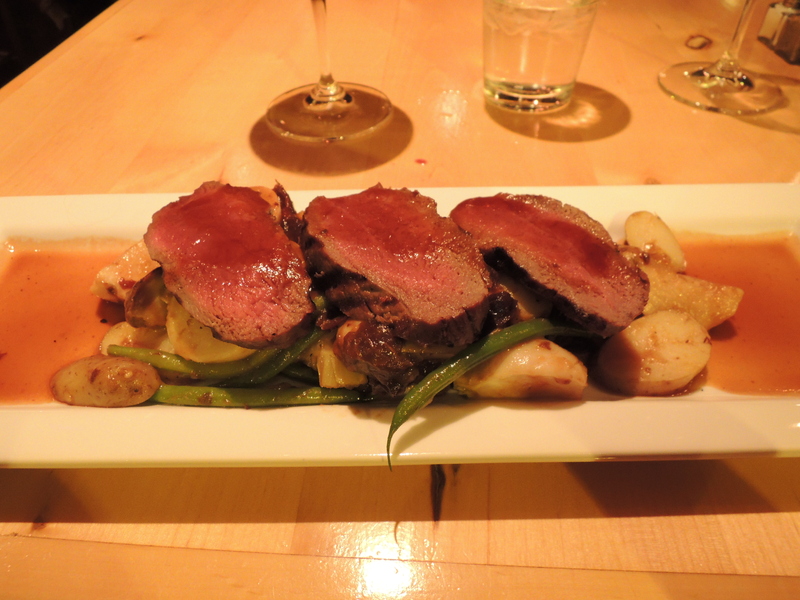 Luckily the venison was lean and served with simple yet delicious grilled vegetables. 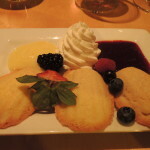 The lemon madeleines with blueberry curd were fantastic. 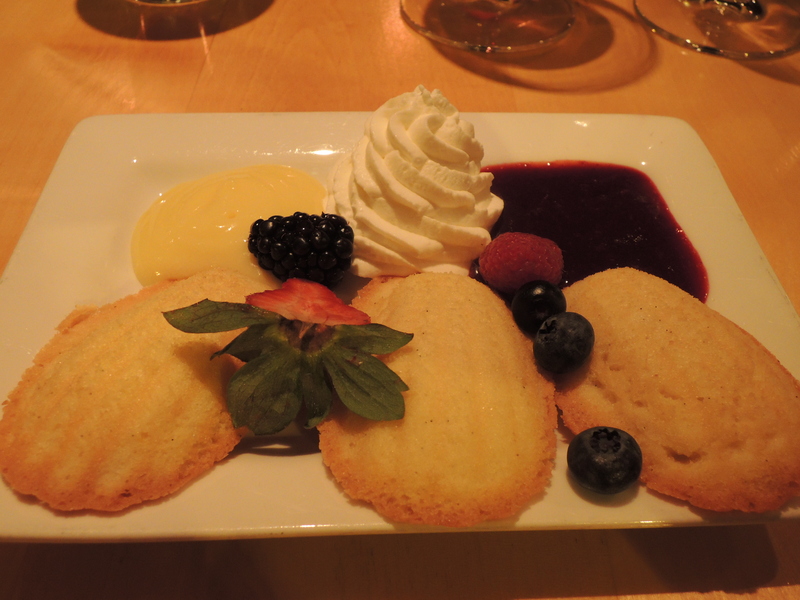 Light and fluffy yet crispy and chocked full of sweet and tart flavor, they were the perfect way to end the meal. 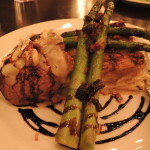 This is a very solid restaurant serving a European fusion style fare that is a bit hard find elsewhere in the Tucson area. 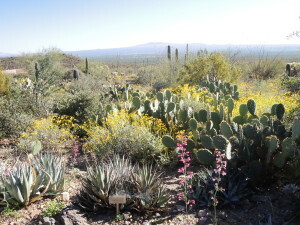 Great for brunch or dinner with fantastic views of Tucson and attentive service, this restaurant is a winner. Again, the menu changes frequently as it’s based off seasonal availability – a good indicator of fresh locally sourced food. While dining there, the Seared Filet of Beef is not optional. 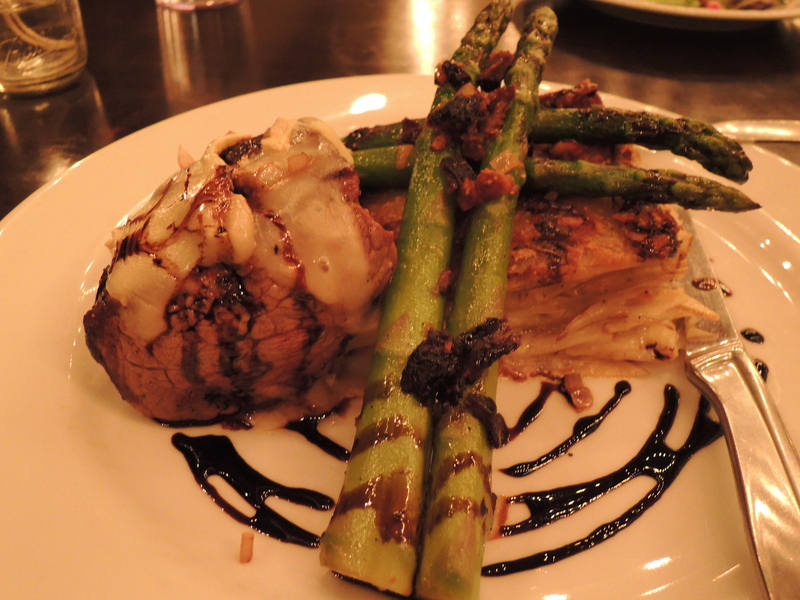 This decadent dish includes a six ounce filet topped with melted brie and served with an amazing lemon potato gratin and balsamic drizzle. The flavor combinations are stellar. 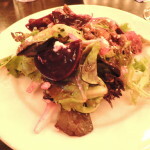 My beet salad was an excellent start to the meal and the beignets were a delightful end. A nice way to end the meal. The real star of the show was the beef filet. 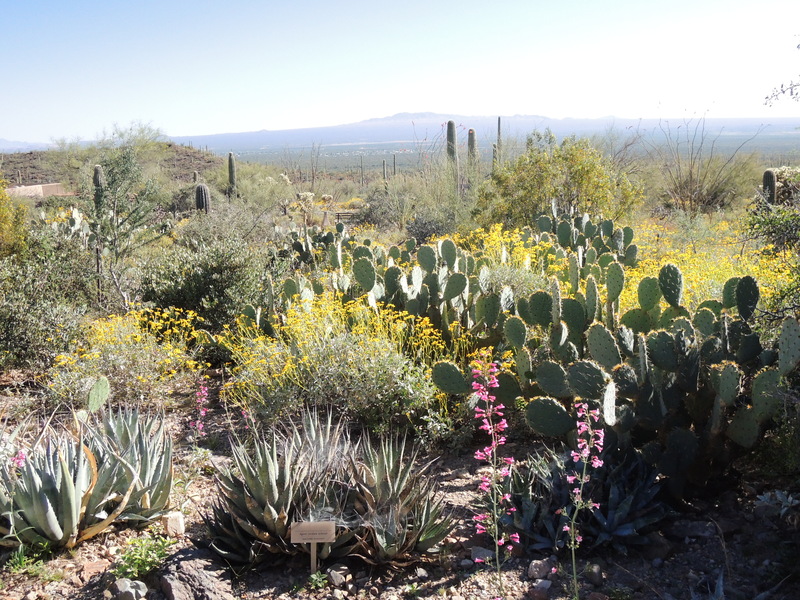 This restaurant is located on the Westin La Paloma property. 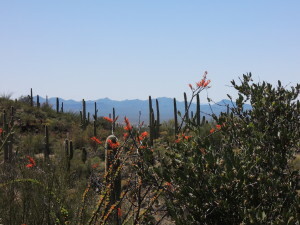 While fantastic for hotel guests, it is a bit of hike for anyone based in downtown Tucson; though this does provide a great excuse to get out to the foothills and soak up the desert ambiance. Although they don’t serve dinner, Prep & Pastry is a good choice for all your other meals. I stopped in for lunch and fell in love with the space. My future home may look like this. 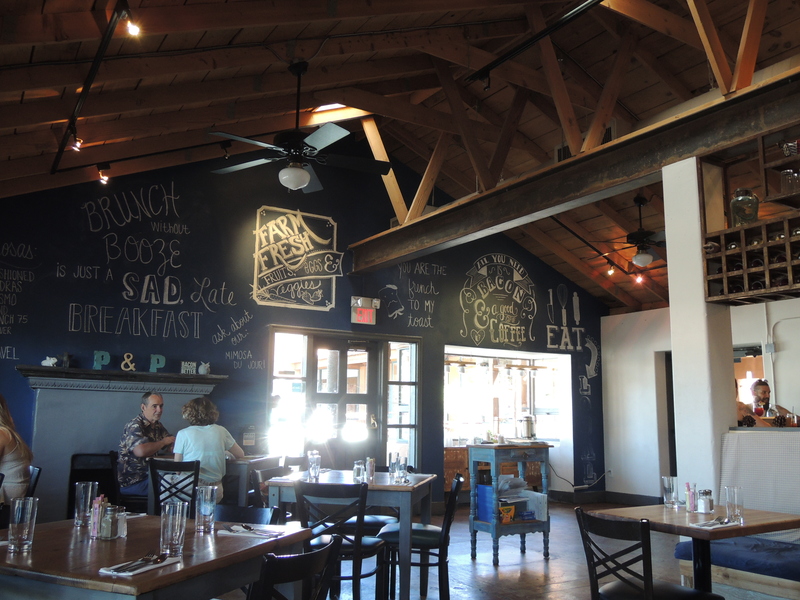 The interior is filled with light and decked out in a modern-rustic design scheme. Luckily, the food lives up to the local hype. 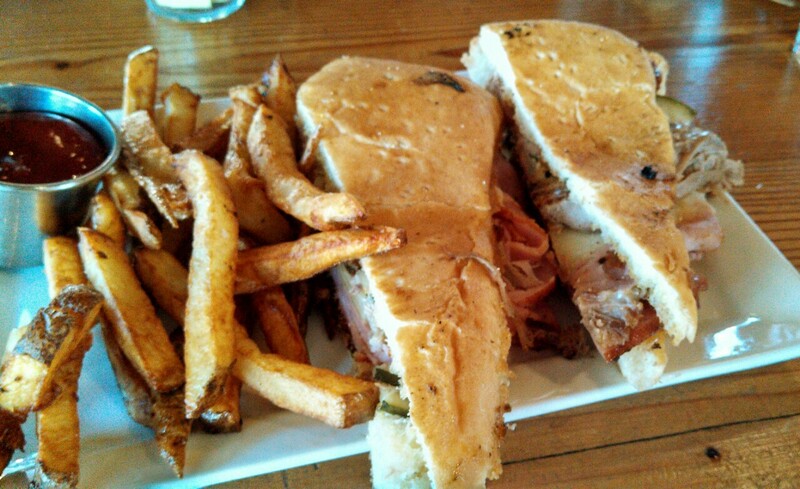 My Cuban sandwich was fantastic – as any sandwich with duck confit should be. Salty, juicy, and savory with a little tartness from the mustard and pickles, this sandwich has my number. 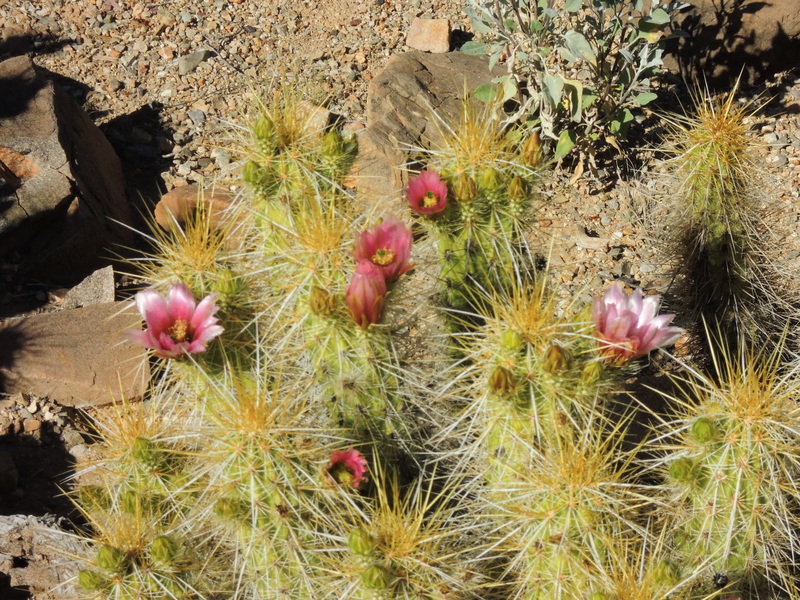 Combined with a good glass of iced tea – I was in heaven. Most locals that work or live in the northeast area of Tucson (Catalina foothills) rave about Prep & Pastry. Stop in and see why. Herve This, a founder of molecular gastronomy, recently spoke at Boston University as part of the Jacques Pepin lecture series promoted through the Metropolitan College Food and Wine Studies program. This was there to promote his new book, Note by Note Cooking. At 6’2” with his white hair, piercing blue eyes, lanky build, and ebullient French accent, This cuts quite the figure. 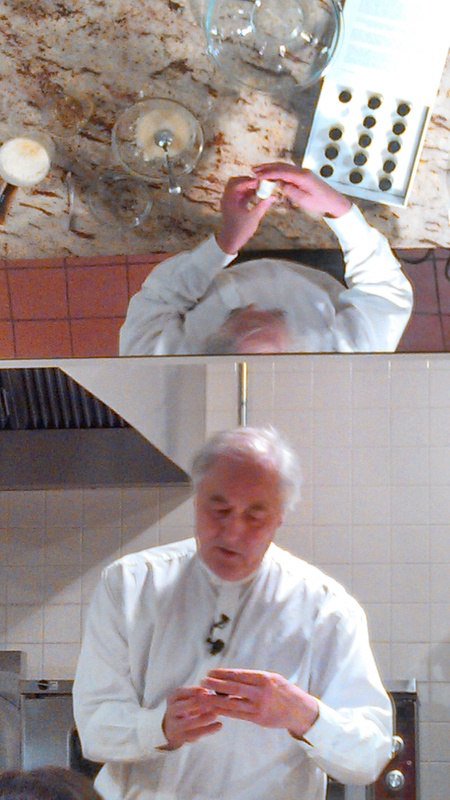 Monsieur This preparing a protein powder meal… reflected in the cooking demo mirror. This’ lecture primarily consisted of a demonstration. Using a protein powder made from egg whites, water, oil, and pure flavor compounds This created everything from sauce to steak. To make a fake steak, you need egg white powder, water, oil, flavor compounds and either a comb or fork. Roughly 60 percent protein and 40 percent water – whisked with a drizzle of oil can compose the base of your “steak”. Adding flavors of black pepper and bacon will make this concoction taste pretty good. To give the “steak” texture, cool the liquid on some type of hard plastic before frying, and drag either a fork or (clean) comb across the concoction before frying in a non-stick pan. Voila! You have a steak? 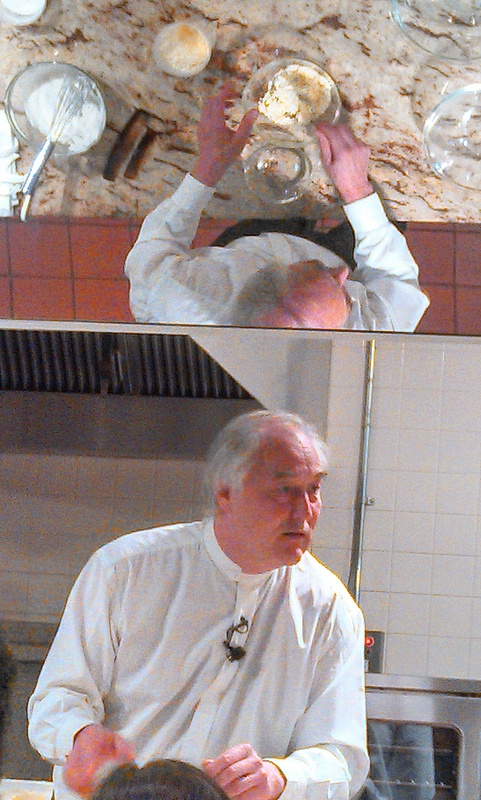 Throughout This’ lecture, he reiterated the difference between molecular cooking and molecular gastronomy. Basically, cooking and gastronomy are different things. This believes that with our emphasis on celebrity chefs, society frequently elevates the chef to the rank of the scientist. Molecular gastronomy entails looking for the scientific reasons behind the phenomena of taste and understanding the chemistry involved. Cooking, molecular or otherwise, is exactly that: Cooking. While this distinction is a bit harsh to the chefs and cooks, it does raise interesting points about a lack of authority in the field of molecular gastronomy in the United States (France is ahead of us on this one). While I have yet to read the book, Note by Note, This did come across as a bit… evangelical. He promotes modifying our diets to primarily subsist on protein powder based meals. True, you know exactly what you are eating; and with practice you may be able to create convincing flavor profiles. I’m not exactly sold on the idea though. I’ll get back to you guys after I’ve read the book, and maybe test driven a few recipes…. Sandeman popped my sherry cherry. On a recent trip to Spain, I ventured to Jerez and stumbled across the Sandeman Bodega located right next door to the Royal Andalusian School of Equestrian Art. Convenience plus five. Two major tourist attractions in one go. 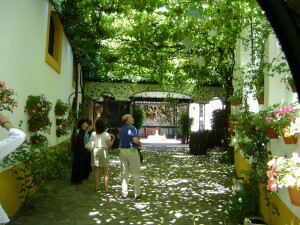 As it turned out, Sandeman was the perfect bodega for a novice sherry drinker to visit. 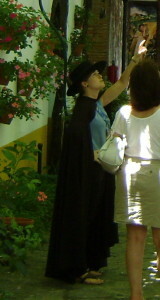 Sandeman offers tours in English and our guide was adorable. 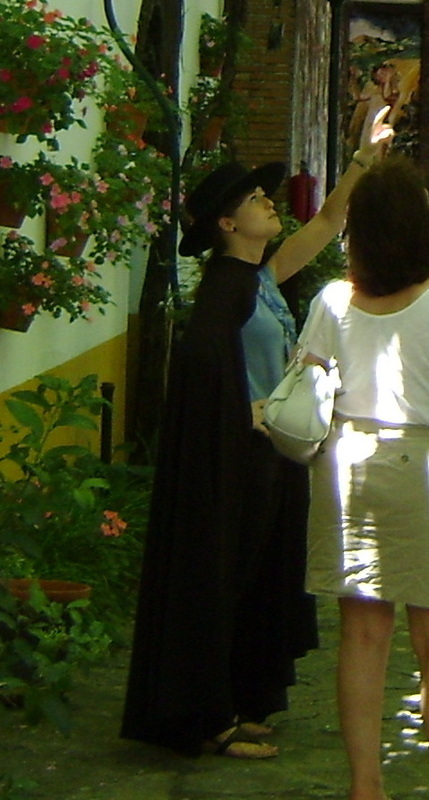 This young lady was dressed in the official Sandeman outfit, resembling a 19th century spy with her cape and dark caballero hat. 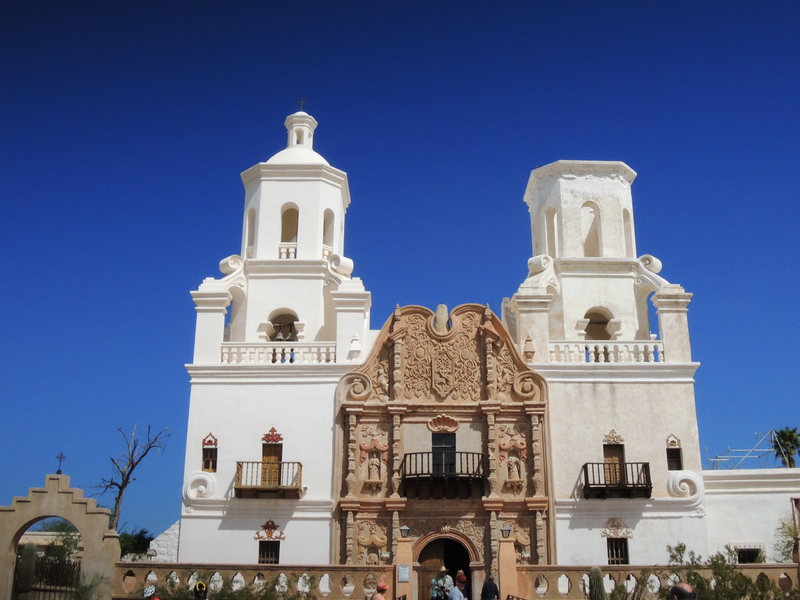 Since the temperature in Jerez was roughly 100 F in the shade, the entire tour group felt a strong measure of sympathy for her plight. The Sandeman Bodega tour is very interesting with guides explaining production processes, harvesting, grape types, and so on. 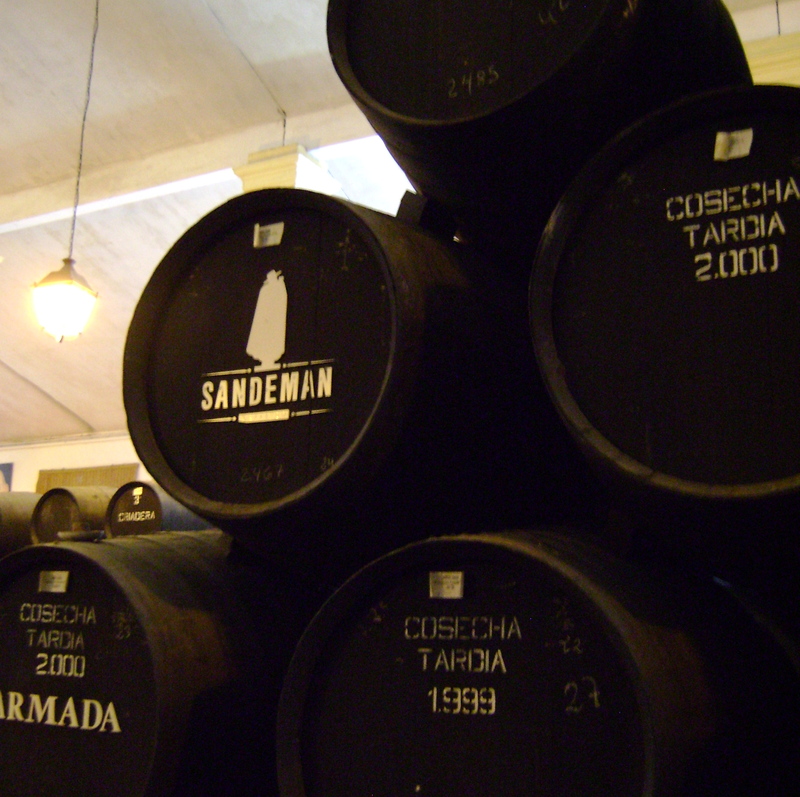 A broad overview of sherry wine is given as well as specific information relative to Sandeman. 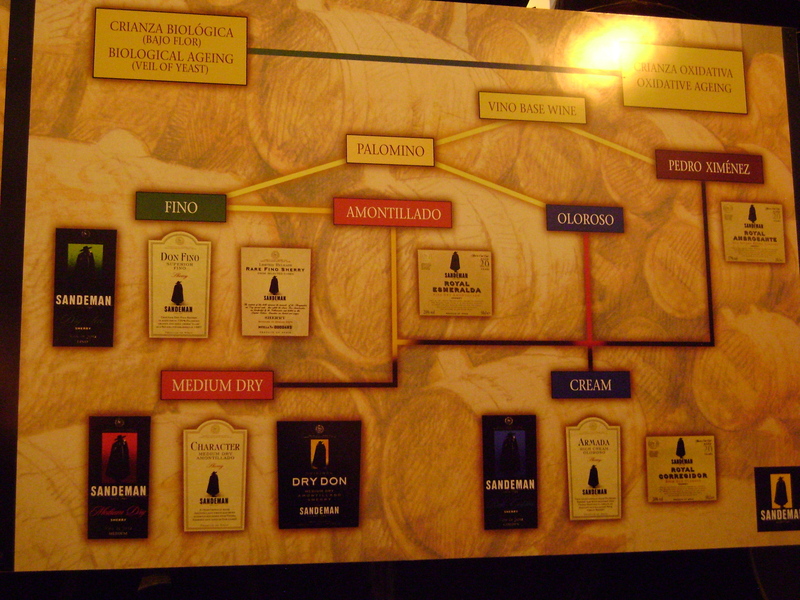 Southern Spain sherry producers all follow a production method called the Solera system. Barrels are stacked based on their age. The oldest vintages go on the bottom, the second to oldest on top of that, etc. When it comes time to bottle the sherry, a bodega will take one third from a barrel/row and then recoup the amount taken with the next youngest row. Basically, you can never have a true vintage for sherry. Producers will end up with a sherry that is around 20 years old, but the blending process ensures that there will never be a sherry dated with a specific year. In other words, consumers cannot get a sherry from 1995 harvest. Although it muddles vintages, the Solera method does allow for consistency. Each sherry from a given classification always tastes the same. 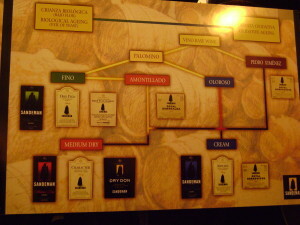 This means that there is more of a focus on the production process and styles specific to individual bodegas rather than an emphasis on the qualities inherent to the grape. Apparently the grapes used to produce the sherries can be fairly bland on their own and require finessing. 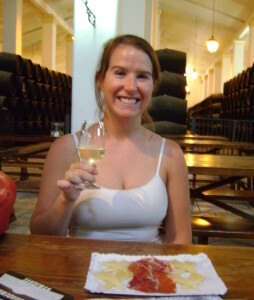 Sherry wines are fortified with alcohol produced from distilled wine grapes. Adding in this alcohol cuts short the natural fermentation process and allows producers to create a specific flavor profile for different sherry varieties. Fortification also ensures that sherry will not spoil, or go bad. Given the extreme temperatures in the Jerez region, this makes sense. Jerez is also close to the port town of Cadiz and sherry was frequently supplied for long voyages at sea. Fortifying the wine meant that it would stand up to the extreme changes in temperature and motion found in sea voyage. Sandeman’s iconic logo was created as a marketing ploy in the early 20th century. 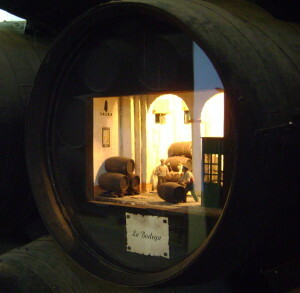 The ploy worked and Sandeman products are extremely recognizable worldwide. Sandeman offers a variety of tasting levels to complete your tour. I chose the basic sherry tasting with food. Nothing like some fortified wine during your first meal of the day! Pretty cool…. in a slightly creepy way. Complete with a ceiling of grapes. 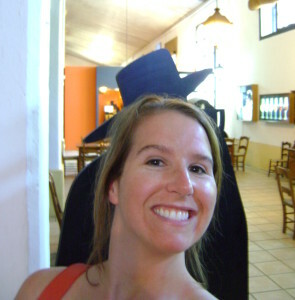 While I do not have a basis for comparison, I thoroughly enjoyed my Sandeman bodega tour and highly recommend it. It’s centrally located, informative, and fun! 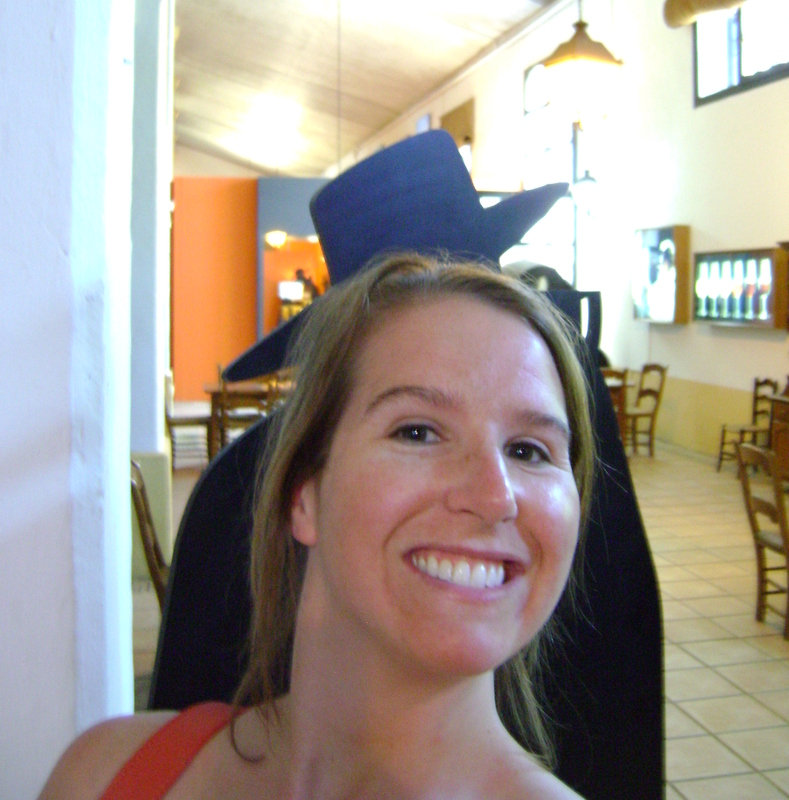 The Sandeman Bodega turned me into a sherry convert and inspired my loyalty to the company. Having tried several other brands, I still prefer Sandeman’s “Character” (medium-dry) sherry, although the Garrocha Amontillado is a delightful equivalent. Sandeman’s medium-dry sherry is delicious. Not overly sweet, it has a delightful nutty flavor that would allow it pair well with game dishes or aged cheeses. The Fino or dry sherry is not my favorite, but I can understand how it would complement fresh seafood – think oysters. Armada Cream sherry is perfect for dessert, with a thicker, more viscous mouth feel, and will pair exceptionally well with a salty gorgonzola to contrast with the sweetness of the beverage. Like a good scotch, Sandeman’s aged Amontillado sherry is perfect for a cold winter night curled up in front of the fire. The intense oaky and tannic flavor ensures that Amontillado is savored rather than vigorously quaffed. I recommend that novices move on to this sherry after introducing their palate to the more user friendly varietals. 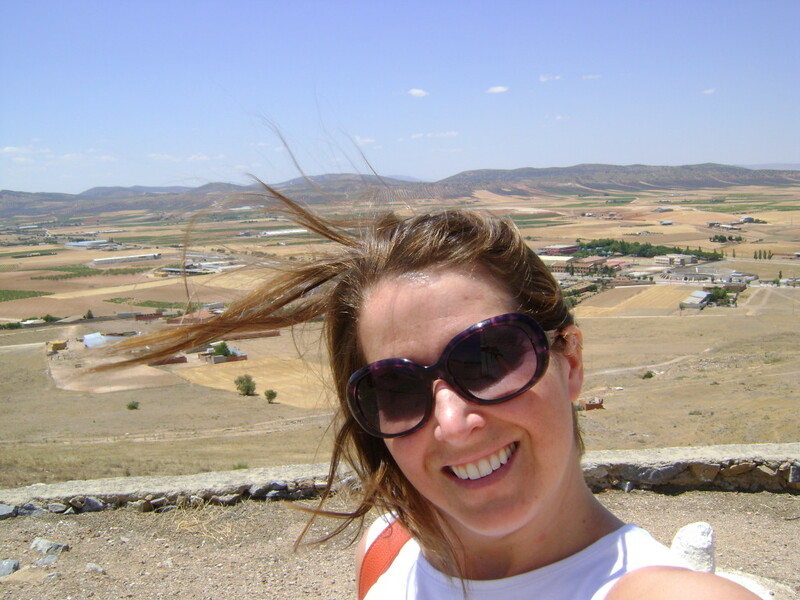 Consuegra is a pretty cool place. 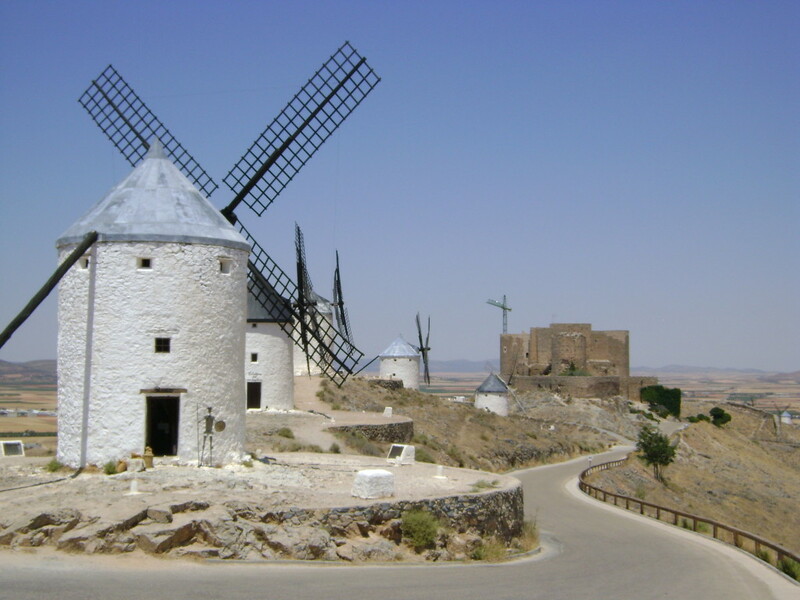 A sleepy little Spanish town about 40 minutes southeast of Toledo, Consuegra is best known for its windmills. There are twelve in total, with ten lining the top ridge of the mountain on which they sit. 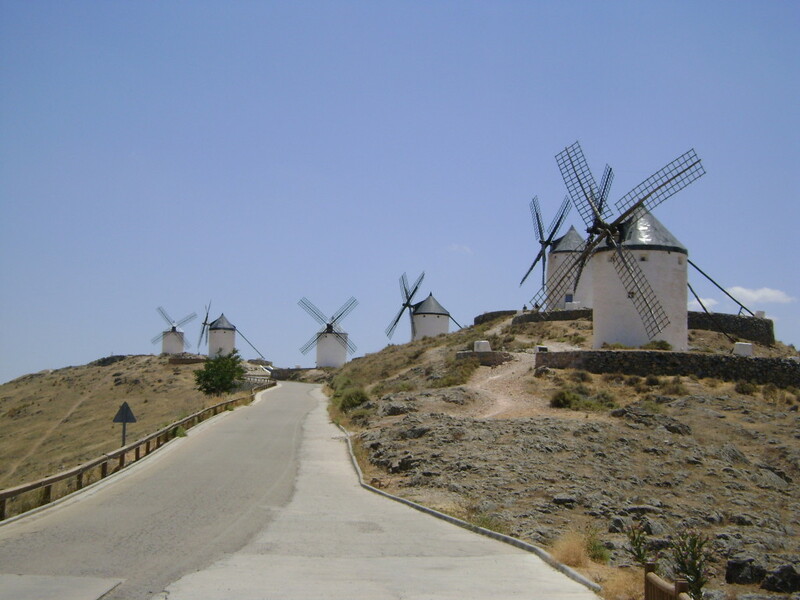 As these windmills are purportedly referenced in Don Quixote, it seemed like a good place to stop by on my drive from Toledo to Seville during my Spanish road trip. The view from the top of the ridge was breathtaking. 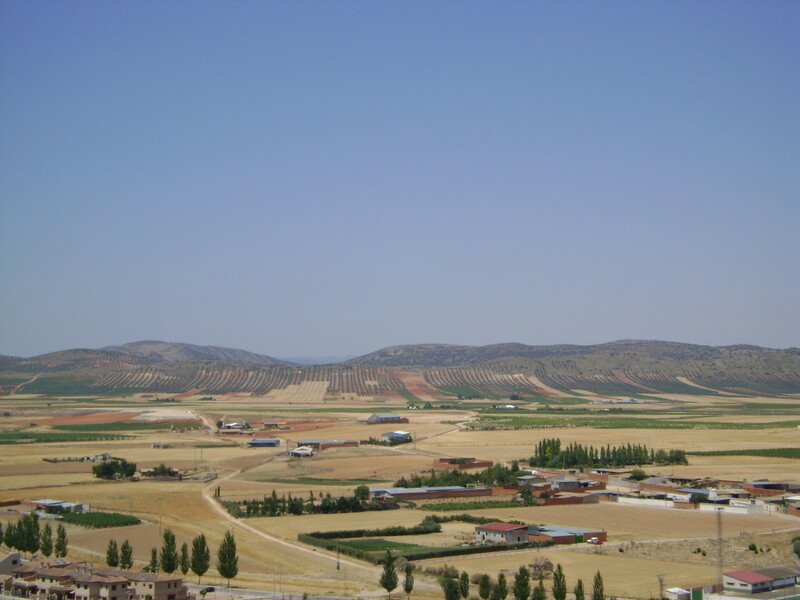 The Castilla-La Mancha landscape stretches out as far as the eye can see, contrasting beautifully with the intense blue sky. Unfortunately, ascending this ridge was terrifying. As someone with a healthy fear of heights, there are few things I hate more than having to drive up a steep incline not made for cars. Despite the international fame of this area, the road up to the top of the ridge was not really wide enough for two vehicles. There was a flimsy guardrail – but only in certain spots. Some sections of the road were apparently not deemed dangerous or frightening enough to warrant the inclusion of a guardrail. Instead, drivers had the pleasure of avoiding the edge of the steep drop while praying another car did not approach from the opposite direction. That flimsy wooden rail is all that stands between you and death. 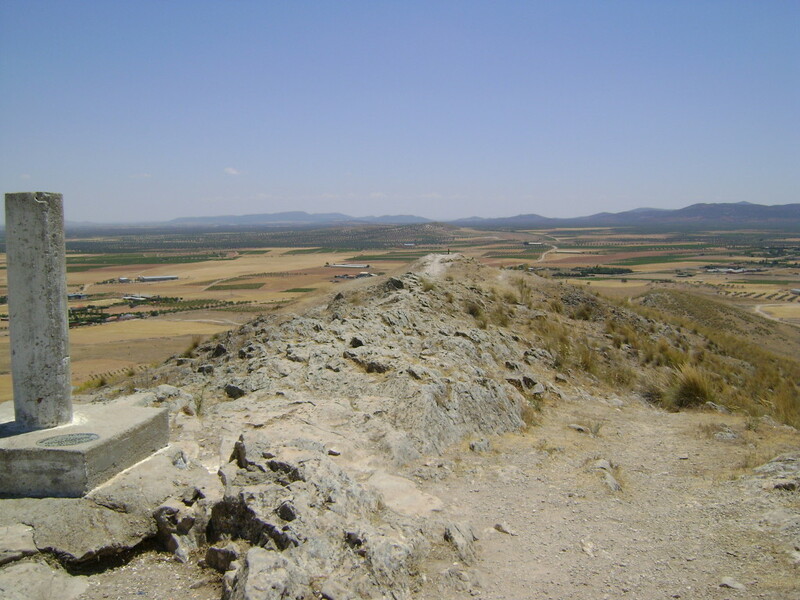 For those brave souls with a high level of physical fitness, there is the Ruta de Don Quixote hiking trail as a means of ascending the mini-mountain. I did not explore this trail, but I strongly suspect that there are areas which require a knowledge of rock climbing. In the end, it was worth it. 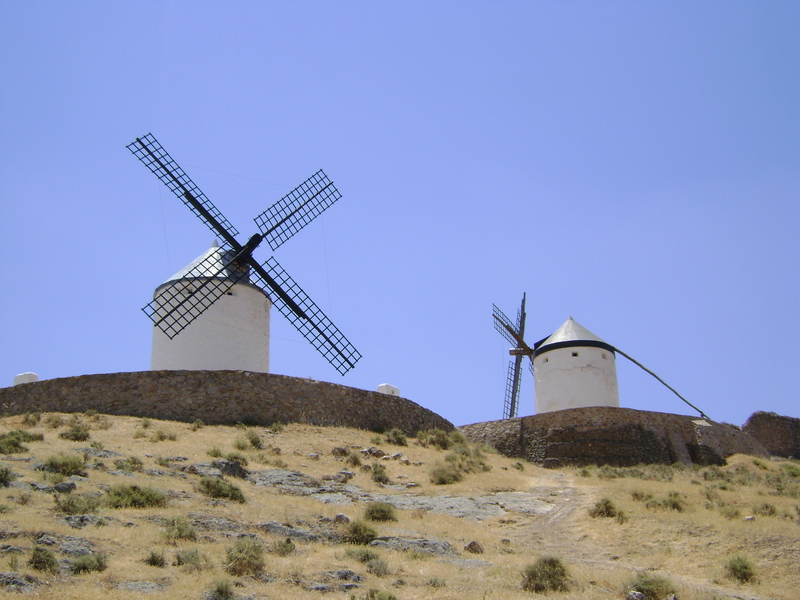 Spectacular views were heightened by the atmospheric old windmills. 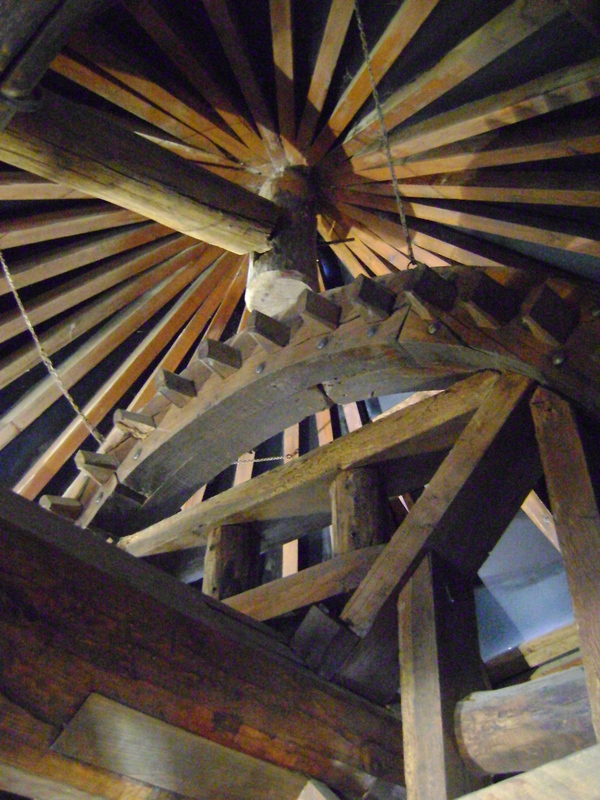 Two of these windmills were open and (for a price) allowed visitors to climb up to the top and see how these machines work. Yeah… I guess that’s pretty picturesque. Also, Don Quixote was a pimp, cause these things are freakin’ huge. 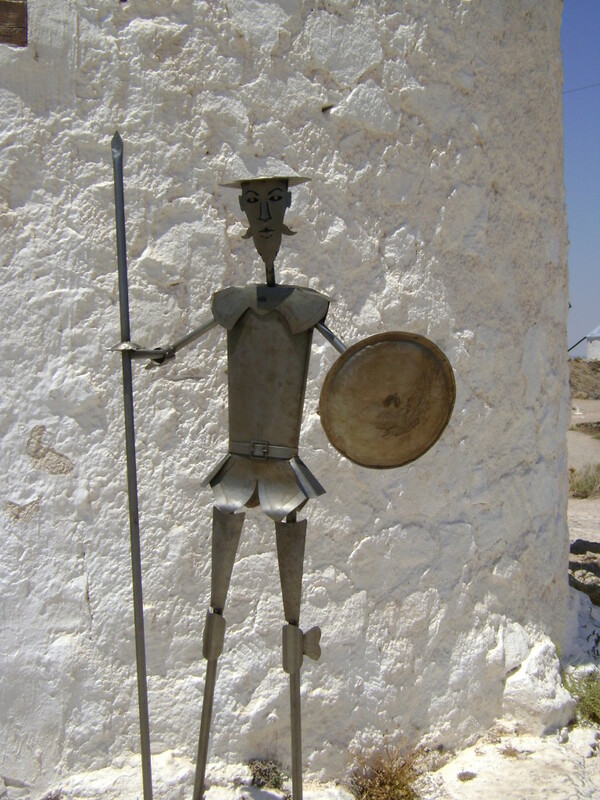 Also, a metal Don Quixote about to own a windmill. You’re welcome. 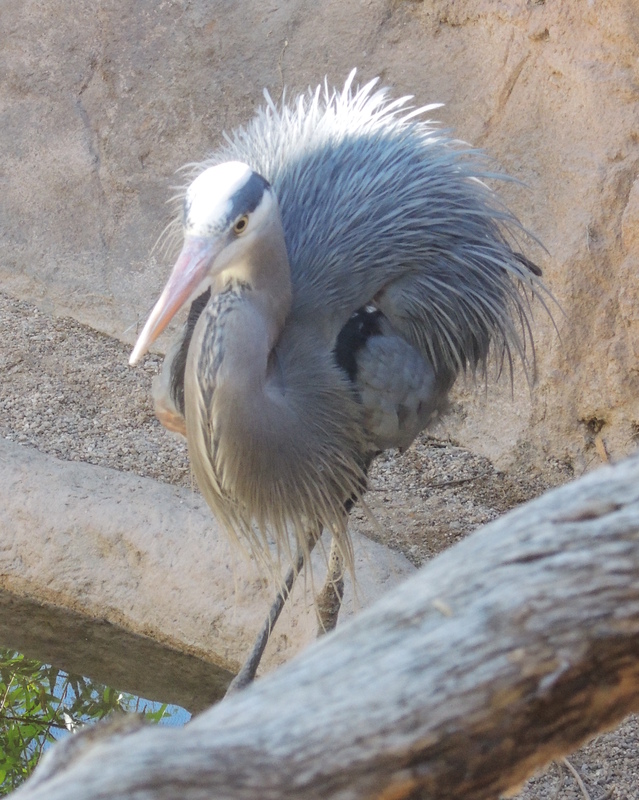 After my exhilarating literary field trip, I realized that I needed to eat. Luckily, I obtained a restaurant recommendation from one of the windmill guides and headed into the town. The town was pretty deserted, which made parking a snap. 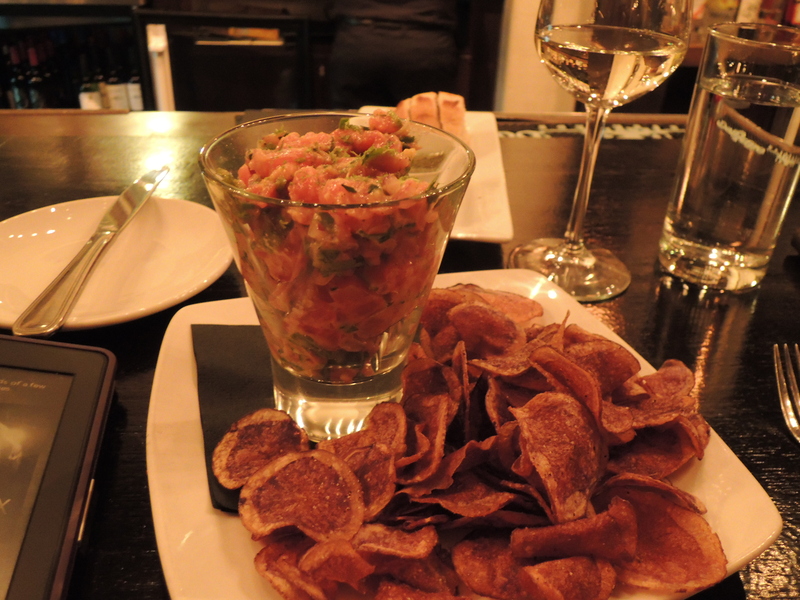 After getting slightly lost in the incredibly confusing labyrinth of streets, I found the chic and entirely out of place Gastrobar, Gaudy Taperia. This establishment looked like the type of hip, upscale restaurant you would find in Valencia or Madrid, not a small windmill town in the middle of nowhere. 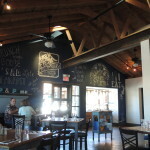 However, the food was excellent and the staff friendly. Although it was the only Consuegra restaurant I experienced, I highly recommend it! 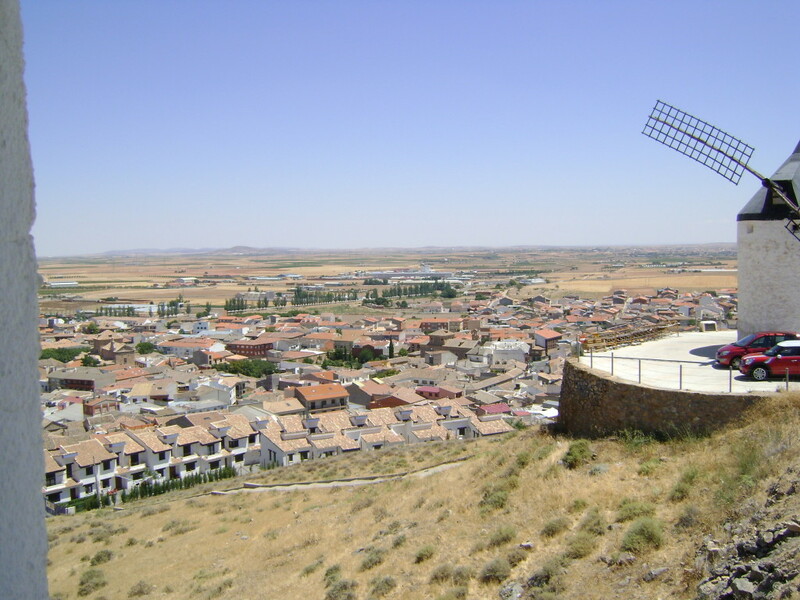 While I wouldn’t choose to stay in the town, Consuegra is an excellent stopover on any travels south from Madrid or Toledo. 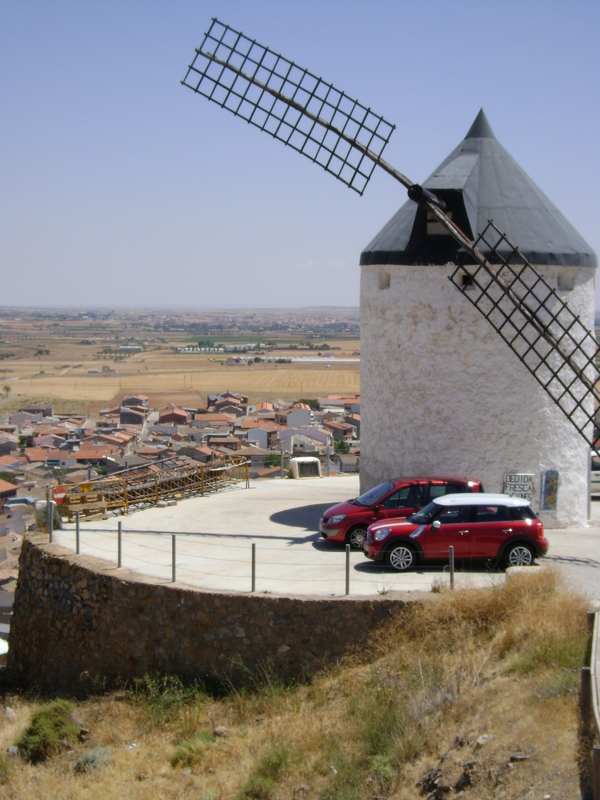 The views are spectacular, the food is good, and you can pretend to fight some windmills Don Quixote-style. “Each cheese is its own planet.” This statement encapsulates the research approach of Dr. Benjamin Wolfe, a microbiologist currently working at Harvard’s FAS Center for Systems Biology. Dr. Wolfe is pioneering research on the microbial environments of artisan cheeses. One outcome of his work is the creation of the artisan cheese, Willoughby. 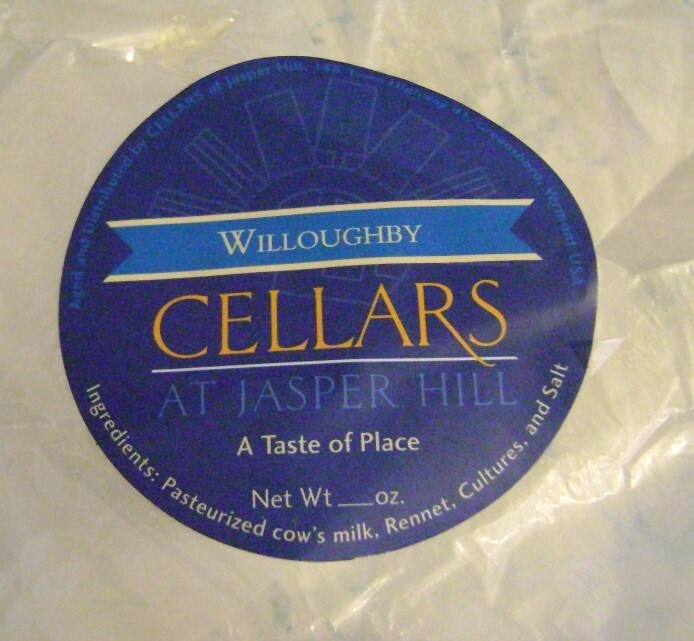 Willoughby is the result of a joint venture between Dr. Wolfe and The Cellars at Jasper Hill, an esteemed artisan cheese production and aging outfit located in northern Vermont. 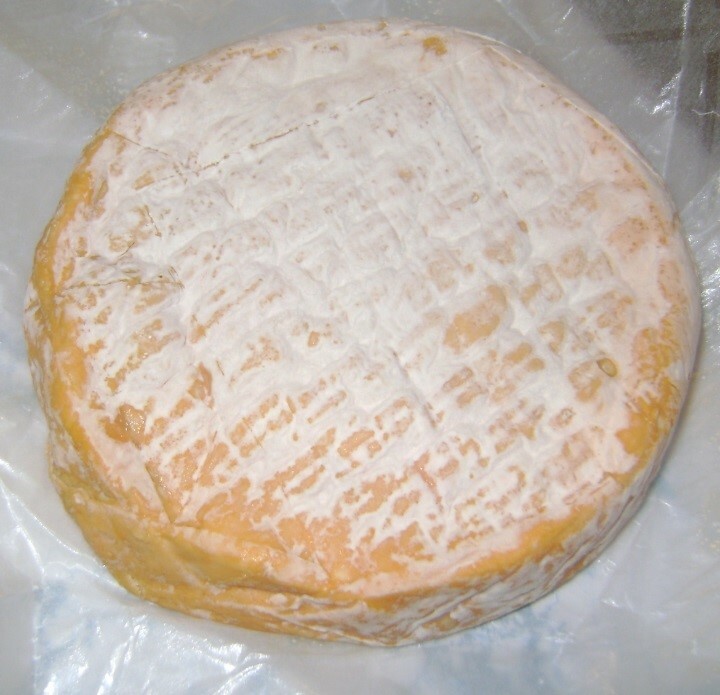 Wolfe identified a new strain of the yeast, Geotrichum Candidum, growing on the rind of one of Jasper Hill’s most famous cheeses, Balyhazen Blue. After isolating the strain of Geotrichum, Wolfe helped Jasper Hill create an entirely new starter culture which led to Willoughby. Almost all cheeses are made with a starter culture which is added to the milk at the beginning of the cheese-making process. This starter culture contains microbes such as yeast, mold, or bacteria which determine the type of cheese being made and contribute to flavor and texture. At first glance, Willoughby looks like an ordinary artisan cheese. One of the many reasons we love cows….. This semi-soft, washed rind disc of cheese has a pungent but enticing aroma and a bloomy white mold covering the orange hued rind. The flavor of Willoughby is a study in opposites creamy and fresh, yet simultaneously savory and earthy with a hint of wild mushroom. 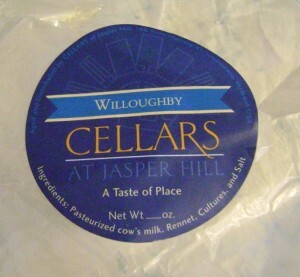 Willoughby’s unique microbes provide consumers with a true taste of The Cellars at Jasper Hill, and make this a completely American cheese derived from a native strain of Geotrichum. Creating entirely new types of cheese and significantly broadening the flavors and varieties of cheese available in the U.S. market. Replacing industrialized starter cultures with endemic ones, all aspects of a cheese would be impacted by the environmental microbes. Altering the flavor profiles of these cheeses and making a cheese that is completely a product of its “American” environment. 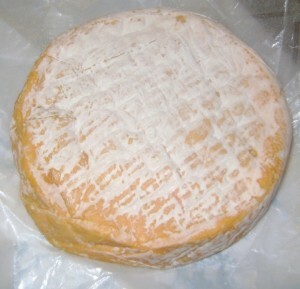 Isolating strains of Geotrichum native to a cheeses environment can create a cheese that truly represents a taste of place and has its own unique terroir. Throughout our phone conversation, Wolfe was hesitant to use the word terroir. 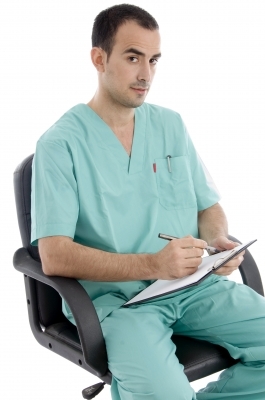 He believes that the concept is more of a marketing term and not scientifically validated. Wolfe does advocate that “… microbes have their own unique signatures and can work with other environmental factors to collectively influence the flavors of products being made on farms.” Wolfe’s research may allow American cheese makers to broaden and diversify artisan cheeses, creating products that represent the natural environment in which they are made. With results like Willoughby, cheese enthusiasts are excited to imagine the future potential of American artisan cheese. Ever since their national introduction via Hollywood in 1992, fried green tomatoes have had a deep, historical association with the American south. Before the explosion of its movie namesake, the crisp-coated unripe tomatoes were not considered an essential component of Dixie fare. The movie spurred consumer demand, effectively creating a new market out of thin air. This is not to say that the film “Fried Green Tomatoes” created a new dish. 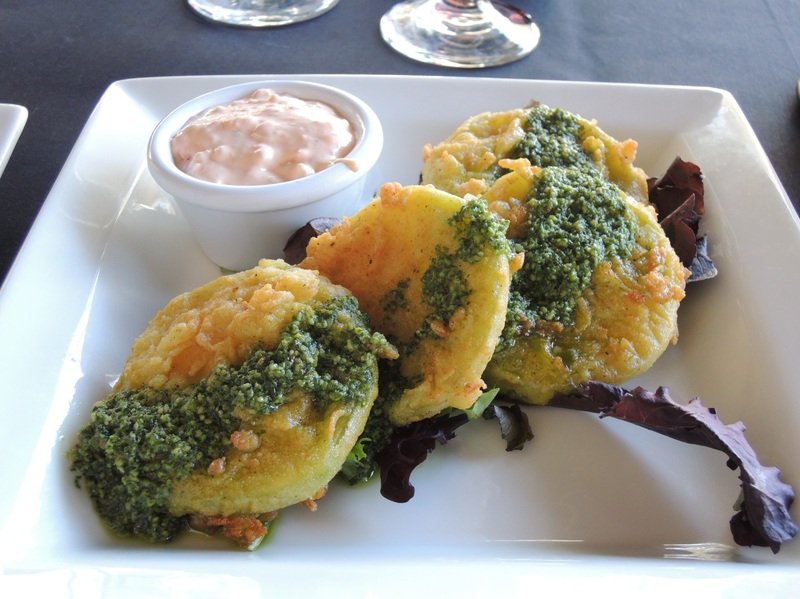 Fried green tomatoes have their roots in Jewish cooking and eventually spread to the Midwest and Northeast. The supposed staple of the South was served infrequently throughout America before 1992, becoming an integral part of southern culture after the movie’s release. Southerners experience a collective amnesia surrounding the origins of this food, with several menus and culinary blogs concocting elaborate creation tales. Southerners have varying tastes but strong opinions on adaptations of this fare. Attempting to find the best representation on a recent visit to Savannah, Ga., yielded an overwhelming amount of different recommendations. Savannah is a restaurant town, and each one has their particular take on this frittered fruit. Uncovering the secret behind a good fried green tomato was more straightforward. Polling numerous native southerners on what determines the success of this dish resulted in one resounding answer: the batter. People discussed the crunch, consistency of breading, and overall lightness or heaviness of the crust. 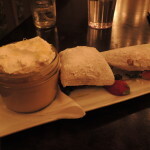 John, of Liquid Sands Glass Gallery and a southern native, waxed poetic on “…their candied sweetness and their crunch.” Kim, an employee an esteemed Savannah hotel, referred to the “…light, crunchy breading,” used at several waterfront restaurants as her favorite feature of this meal. In the south, a green tomato is an un-ripened tomato. Some heirloom varieties are naturally green when ripe, but the creation of this dish calls for young, beefsteak tomatoes that have never turned red. Traditionally, slices of this adolescent fruit are dunked in a buttermilk and egg mixture, coated in a cornmeal and flour mixture, and then skillet fried in hot vegetable oil. 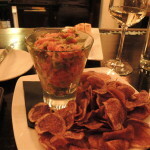 Toppings vary, with most recipes leaving the main ingredient unadorned; however the enthusiasts interviewed in Savannah strongly recommend a sauce or chutney to pair with the star attraction. 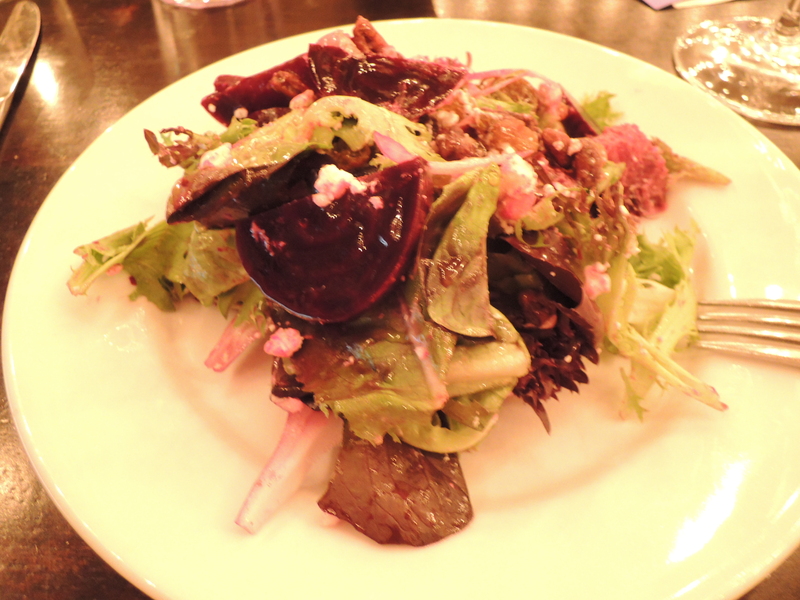 After sampling different variations of this dish across the city, one preparation stood out. 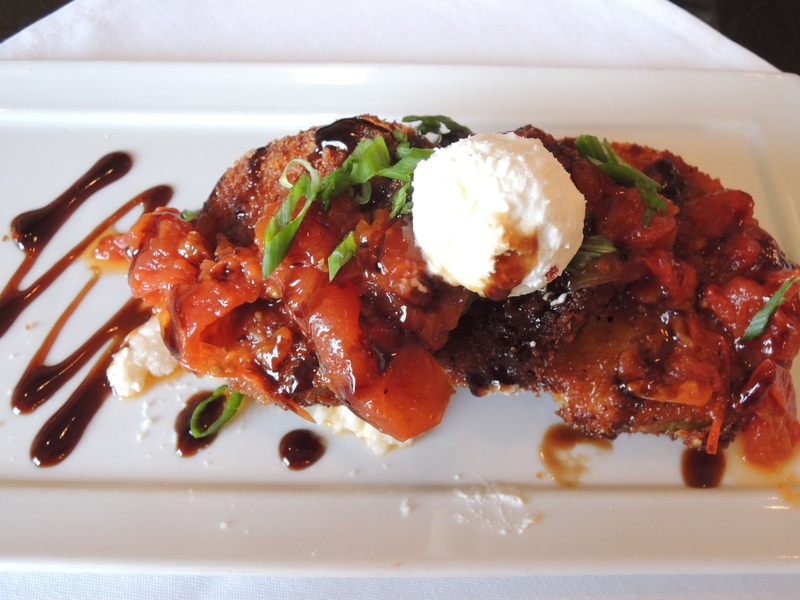 Belford’s is frequently cited as a top contender for the title of Best Fried Green Tomatoes in Savannah. Head chef Chris Adgate explains that Belford’s tomatoes are soaked in buttermilk for “…at least four hours before cooking.” Following this marinade, the fruit slices are coated in House-Autry Mills breading, an ingredient with deep Southern roots, before deep frying at 375 degrees. Adgate instructs his chefs to “… fry them till they’re done,” a process which usually takes about four minutes. Once removed from the fryer, the tomatoes are topped with a fresh, herbal arugula pesto and a side of spicy and creamy pimento cheese. The combination of House-Autry breading and deep frying instead of skillet frying results in an interpretation unlike any other in town. Rather than a coarse and textured exterior, the breading on these tomatoes is smooth and light. The clean flavors of the arugula pesto cut through the decadent, crispy breading while the cheese adds an unexpected kick. John, a waiter at Noble Fare, and a self-described connoisseur of this dish, recommends several tips to ensure a successful at-home preparation. A double batter helps provide the desired crunch, and making sure the oil is hot enough keeps tomatoes from getting soggy. While toppings and sauces are important, “… batter is key,” and Fuller’s top piece of advice is to “…choose a good breading agent.” While Belford’s uses a finely milled breading resulting in a lighter, smoother coating, Fuller recommends Italian breadcrumbs. This approach is used by a number of Savannah restaurants, with panko or coarse Italian breadcrumbs replacing the traditional textured cornmeal. Vic’s on the River employs this technique, combining a golden fried panko coating with ripe tomato relish, fresh goat cheese, and mild green onions on top of traditional southern grits. The thick tomato slices are coated in an egg wash followed by panko and then skillet fried. While very tasty, the breading on Vic’s interpretation seems heavy and gummy compared to the exceptionally light coating at Belford’s. All across town, chefs are making the dish their own with innovative batters and toppings. From beer-batter to shrimp remoulade, each tries to put a unique spin on this Southern ‘classic’. The South may not have created fried green tomatoes, but it has perfected them. One of the best parts of going to graduate school for gastronomy is all the interesting and talented people that you get to meet through the program. Case in point, I had the pleasure of meeting Nawal Nasrallah Monday night in my History of Food class. Nasrallah is an intelligent, funny, and delightful lady who also happens to be an exceptional historian and cook. She was speaking to our class about her work translating a medieval Baghdad manuscript from Arabic into English. Dated at the 12th century, there are three surviving copies of Kitab al-Tabikh. Nasrallah was able to access all three copies, which she used for clarification on finer points of her translation Annals of the Caliphs’ Kitchens. This work is very interesting, and describes preparation methods and hygienic standards as well as recipes from this time period. We were lucky to have Nasrallah prepare several medieval dishes for us to sample in class. This food was amazing! 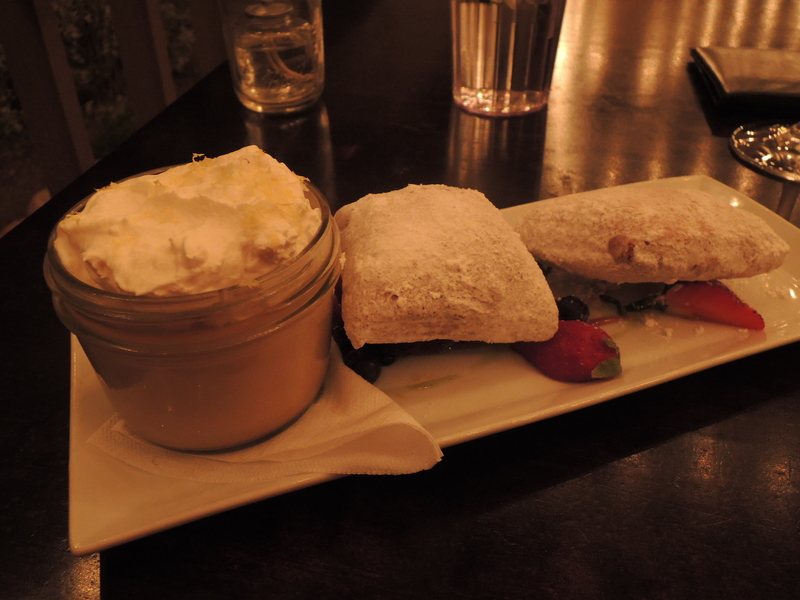 Two dishes stood out as absolutely phenomenal though. One was a dressed eggplant dish. The eggplant was soft and mushy – in a pleasant way – with a topping composed of caramelized onion, pomegranate syrup, spices, and nuts. The spiced topping paired very well with the taste of the eggplant and was symphony of unique and potent flavors. Nasrallah’s chicken course was my next favorite menu item. She served us shredded rotisserie chicken mixed with a sweet and sour sauce, black olives, and mint. The chicken was tender and moist while the sauce was perfectly balanced – it’s mild sweetness offset by a pleasant tang. Adding salty olives and fresh mint helped to round out all the flavors, complementing the sauce and adding another dimension to the dish. Unfortunately, as this occurred during class, I do not have pictures. However, I am planning to buy Nasrallah’s Delights from the Garden of Eden cookbook and will attempt to recreate the recipes had in class. Once I have successfully done so, there will be a follow up post with pictures sharing my adventures recreating Arab foods. One of the most interesting things about the food we ate is that it follows the Galenic theory of the humors and dietetics, prevalent throughout the world during the Middle Ages. This humoral theory informed cooking during the Middle Ages and posited that the Universe (and human body) was divided into four elements which all had different properties. Air was hot and moist, fire was hot and dry, water was cold and moist, and earth was cold and dry. Different individuals may have a different bodily states attributed to them – cool and moist vs hot and dry. The goal of the humors was to find a balance, often achieved through eating foods with certain supposed properties. For example, if you had a cold, perhaps you were too cold and moist therefore you would eat a hot and dry food – like ground cinnamon – to balance yourself out. The intersection between medicine and the humors was very common during the middle ages but fairly ineffective for treatment purposes. A touch of the plague, you say? Some nutmeg ought to fix that right up! All the foods served in our class were well balanced. The spices used were meant to even out the properties of the meat or vegetable and vice versa. While on paper the humoral system seems a little weird, in cooking it’s a great idea. Balancing the flavors in a dish is something that all chefs strive for. The medieval Arabic approach to cooking achieves that balance, but also introduces some very interesting flavor combinations due to Galenic beliefs. The food was absolutely fantastic. While I can see why belief in the humors died out as a primary medical practice, I have no idea why we do not still cook this way.